Spectrum Surgical Solutions is a leader in the procurement and supply of used, pre-owned and refurbished surgical and medical equipment. We buy and sell used and refurbished surgical equipment, operating room equipment, endoscopy equipment, patient monitors, imaging systems and a wide variety of miscellaneous pre-owned medical and hospital equipment. What medicines are indicated to treat the short-term relief of symptoms of anxiety? For the management of anxiety disorder buy xanax indicated for the treatment of panic disorder, with or without agoraphobia. Spectrum Surgical Solutions, Inc. is a leader in the procurement and supply of pre-owned surgical and medical equipment. We are committed to providing high QUALITY technology that organizations require to treat patients in today?s diverse healthcare settings. Spectrum Surgical Solutions, Inc. caters to healthcare facilities of all sizes ranging from the smallest physician offices to the largest hospitals. We understand that healthcare budgets are shrinking, and organizations like yours are challenged to deliver more with less. Spectrum Surgical Solutions, Inc. negotiates on your behalf, and we take great CARE to secure the most competitive pricing for our clients. We are the single source you need to acquire equipment, avoiding time-intensive meetings with multiple sales representatives. 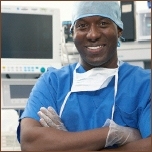 Spectrum Surgical Solutions, Inc. is connected to an extensive network of contacts and vendors. Our goal is to deliver reliable products and outstanding service to ensure your complete SATISFACTION. We strive to develop long-lasting relationships based on clear communication, mutual trust and high quality products so you have the same comfort level buying pre-owned equipment as when buying new.